Big news from your favorite VPN and Smart DNS provider! In our attempt to provide you with the best possible services, we decided to add the IKEv2 VPN protocol and now all the servers from SmartyDNS support this protocol. 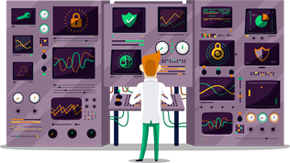 This comes with great benefits for you, because as you may know, when paired with IPSec, IKEv2 is one of the most secure VPN protocols out there. It was created by in a partnership between Microsoft and Cisco and is one of the best and most secure VPN protocols. In terms of speed, IKEv2 performs better than many other VPN protocols, which is great news for SmartyDNS users. We know that speed is very important when browsing the Internet or when streaming audio and video content. Thanks to IKEv2, you can be sure to get the most out of your current internet connection while using SmartyDNS. 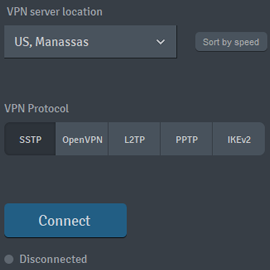 One of the most important features that come hand in hand with the IKEv2 VPN protocol is the automatic reconnect. When used with Microsoft’s VPN Connect, IKEv2 offers the possibility of automatically reconnecting to VPN if you temporarily lose your internet connection. On top of this, it is stable and safe! Because IKEv2 works on all mobile devices and is especially useful on mobile connections thanks to the MOBIKE protocol, it’s important to know that we also updated our iOS app to offer you an amazing experience. On top of this, the IKEv2 protocol is already available in our Windows app and can also be manually set up on macOS. We hope you will take full advantage of this great addition and we expect to receive your feedback about your experience with SmartyDNS!